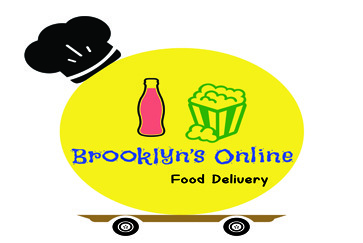 At a time when Odisha is taking tiny steps to become truly global, Brooklyn's Online as the name suggests has emerged as the flag bearer of the same. Giving up the stereotyped emotional connect to the language, the effort taken by the entrepreneurs of this startup with huge potential in the twin city of Bhubaneswar & Cuttack is appreciable. They deliver food offering 60 minutes delivery challenge at doorsteps of households and offices,colleges etc sprawling across Bhubaneswar and Cuttack catering to the border areas too. The online order facility turns it smart and its sumptuous menu for all categories breakfast ,lunch, dinner holds the key to its success. The service of late night Birthday Cake delivery at 00:00hrs is what has attracted the highest attention of the twin city denizens. Having gone through the pain of not being able to have good food when one is totally busy or exhausted in any particular assignment, the pathbreakers, the engineering friends duo,Srikant Saga Padhi and Sachin Sahoo made it a point to get rid of the popular belief among localites, that nothing is possible in our downtrodden state. Thus, they took it up as a challenge to prove that it’s not just the MNCs like Domino's,Pizza Hut and a few more who can meet the fast delivery challenge but the same can be met by the home-grown units as well. Leading by example they set their engineering/methodical brains at work to come up with a comprehensive model where delivery boys are divided zone-wise for prompt and immaculate delivery. 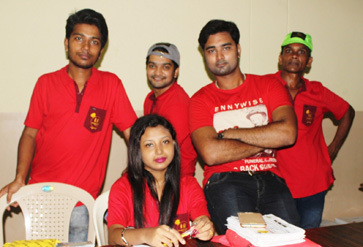 While they started in a very modest manner where online ordering was accepted through facebook with cash on delivery payment mode, the outstanding response took no time for them to create a website offering online payment option as well.However, promoting the website was humungous task yet they proved that passion is the answer to all road blocks. Now it enjoys uncontested popularity, so well deserved. With already two branches in existence, the Brooklyn dream is surely going to be breathtakingly wide to be widespread. The entrepreneurial friend duo holds a vision to serve food to across the state at an affordable price within 60 minutes , thus you can inevitably expect the count of branches to increase at a very high pace.